On January 20, a team of eight agents from the Ministry of Intelligence, including one woman, raided the home of Atusa Ahmadaa’i Khorrami ((آتوسا احمدآئی (خرمی)) in Tehran, where they seized laptops, books and religious items before taking her away. The agents did not tell her family where they were taking her, but said “we will be in touch.” They said she was suspected of activities against national security. Mrs. Ahmadaa’i and her family are at present caring for her elderly father, who has suffered a stroke. Update: she was taken to Evin Prison in Tehran. As previously reported, on November 20, the home of Mrs. Sepideh Keshaavarz (سپیده کشاورز) was searched, some books and electronic devices were seized, and she was arrested. 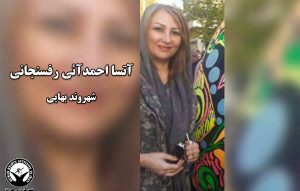 She was detained in Evin Prison for interrogation, and was released on bail on December 4. Bail was set at 500 million tumans (105,000 euros ; $US 119,000). Shahrzaad Nazifi (شهرزاد نظیفی), a well-known champion and trainer in women’s motocross who was arrested by security forces on November 18, was freed on bail on December 3. She had been detained at Evin Prison in Tehran. Bail was set at 700 million tumans (147,000 euros ; $US 167,000 ). She was arrested on a motocross track, and taken to her home which was searched for about five hours. The agents seized books, mobile phones and laptops. They had already searched the house once, in a previous raid lasting several hours on November 10. Mrs. Nazifi, her husband Mehrshaad Naraaqi (مهرشاد نراقی) and their daughter Noura Naraaqi (نورا نراقی) are prominent in motocross sport in Iran, and women’s participation in particular. Mrs Mahvash `Adaalati-Za’iri (مهوش عدالتی (زائری)) was released on bail in Tehran on November 29. 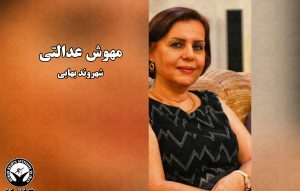 Her home was searched for three hours on November 20, with the seizure of Bahai books and other personal effects, and she was summoned to Evin Prison for interrogation on November 26, and arrested after two hours of interrogation. Interrogations continued in the following days. On November 20, security agents raided the home of Farid Ismaa`ili (فرید اسماعیلی), seizing mobile telephone, laptops and books and images relating to the Bahai Faith. They left a summons requiring him to report to Evin Prison in Tehran. Nikan Sheydan-Shaydi, a Bahai student in the third semester of an Intermediate study in moulding technology at the Technical College of Tehran, has been expelled because of his Bahai beliefs. He began his studies in February 2017. He was summoned to the Institute’s security office [a branch of the Ministry of Intelligence] and asked why he had enrolled, since he was a Bahai? “There is no place for Bahais here, just like the universities.” However he was told that he could change the religion field in his student records, and continue with his studies. In recent days the number of Bahai students who have just passed the University Entrance examination, and find they are excluded from tertiary education on the excuse of “incomplete file,” has risen beyond 50. In previous years the total has been above 100 each year. Roumina `Asgari (رومینا عسگری ), an undergraduate student at the Tehran Central campus of Iran’s Free University, has been expelled because of her Bahai beliefs. She has completed four semesters of her degree. Unusually, she was informed of her expulsion in writing, the reason given was “abnormal social behaviour, efforts to undermine the order, peace and security of the nation.” Yet she has not actually been attending classes in the last 6 months, having taken a one-semester suspension of her studies. 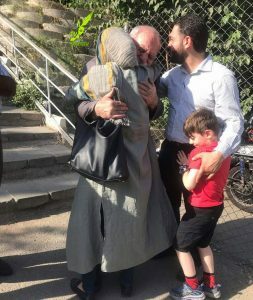 Mehrdad Heyrani (مهرداد حیرانی), an elderly Bahai from Tehran, was released from Evin Prison today (Saturday) after three months’ interrogation. Bail is reported at 1.2 billion tumans, but should I think read 1.2 billion rials (the official currency unit), which is 25,000 euros or $US 29,000 at the current official rate. Mr. Heyrani was arrested by agents from the Ministry of Intelligence on May 11, while he was at a friend’s house in Fardis, 45 km West of Tehran. The agents returned with them to his own home. They searched it and seized a computer, some religious books and other personal effects. 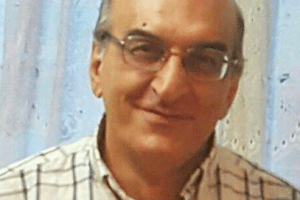 Mehrdad Heyrani (مهرداد حیرانی), a Bahai living in Tehran, was arrested by agents from the Ministry of Intelligence on May 11, and taken to an unknown place. The agents came to his home, but he was at a friend’s house in Fardis, 45 km West of Tehran. The agents went there and arrested him and took him with them to his own home. They searched it and seized a computer, some religious books and other personal effects. Iran Press Watch, March 26, 2018. 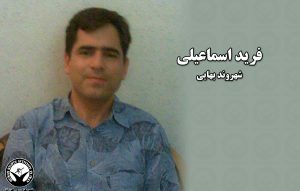 Shahab Dehqani ( شهاب دهقانی), a Bahai from Tehran was released from Rajai Shahr prison in Karaj, upon the completion his four-year sentence. He was arrested in July 2012 during a massive security operation against Bahais. Nearly 20 Baha’is, in the cities of Tehran, Mashhad and Shiraz, were arrested in this operation. Mr. Dehqani was charged with propaganda against the regime and forming illegal assemblies, and sentenced to four years by the notorious abuser of human rights, Judge Moqayesseh (قاضی مقیسه, also spelled محمد مقیسه‌ای), who was also responsible for sentencing the seven “Yaran” on trumped-up charges of espionage. He reported to Evin Prison to serve his four-year on May 24, 2014. The next day, he was transferred to Rajai Shahr prison in Karaj. He was granted a 3-day prison furlough in June, 2015. 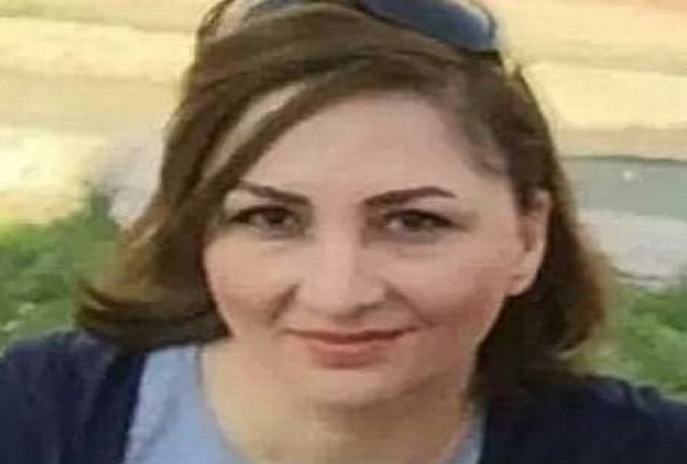 Mr. Dehghani’s wife, Shomais Mohajer (شمیس مهاجر) was arrested at the same time and sentenced to one year in prison on charges of propaganda against the regime and illegal gathering. She was released on May 26, 2015. 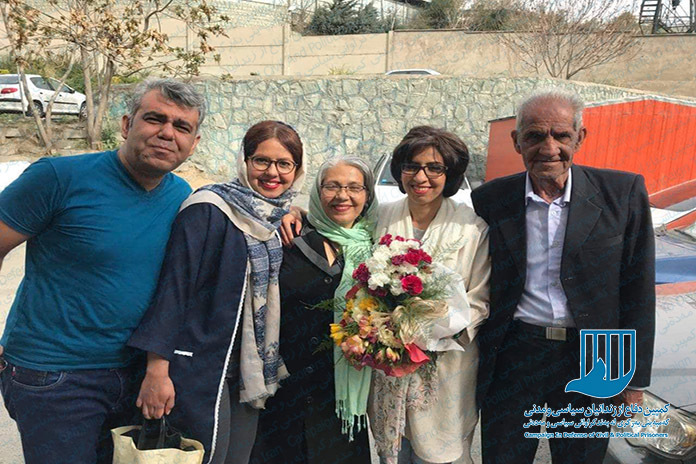 Nasim Baqeri (نسیم باقری), one of 10 Bahais associated with the Bahai Open University (BIHE) who were tried in Tehran on March 12, 2013, has been released from Tehran’s Evin Prison at the end of her 4-year sentence. The Judge who sentenced her is the notorious abuser of human rights, Judge Moqayesseh (قاضی مقیسه, also spelled محمد مقیسه‌ای), who was also responsible for sentencing the “Yaran” on trumped-up charges of espionage. Iran Press Watch, February 1, 2018. Ms. Kiani was arrested by Security Forces for the first time on March 8, 2017 and had been out on bail of 200 million Tomans (equal to $45,000) since early April 2017. It is said that at the time of her arrest. all of Ms. Kiani’s books, articles, CDs, as well as her personal computer, were confiscated by Security Forces. Mr. Rezvani pointed out that no such organisation exists [in Iran, where it was banned and dissolved after the 1979 Revolution ~Sen], so he could not be a member. He was represented by a lawyer. Mr. Rezvani was arrested in a raid on his home on August 3. After 33 days of solitary confinement and interrogation in Evin Prison, he was transferred to a general wing of the same prison. He was released on bail of 200 million tumans (56,000 euros; 64,000 $US), on September 28, pending his trial. He has 20 days to appeal, and his sentence has to be confirmed by the provincial Review Court. 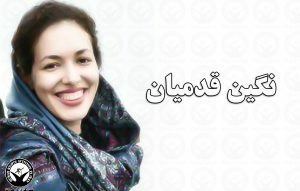 an airport on December 16, and has been taken to Evin Prison to begin her sentence. She was arrested, along with many others associated with the Open University, in May, 2011. On March 12, 2013, she and nine other Bahais associated with the Open University were tried. After the trial they were freed on bail or with a pledge, until summoned to begin their sentences. Payam News, October 31, 2017. 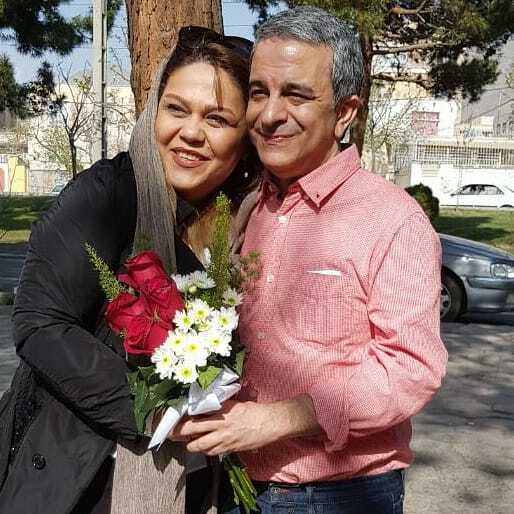 Fariba Kamalabadi (فریبا کمال آبادی ) one of the seven “Yaran” (National facilitators for the Iranian Bahai community) has been released at the end of her ten-year prison sentence. The seven “Yaran” were arrested in 2008 and sentenced to 20 years in prison each in 2010 for “espionage,” “propaganda against the state,” and “organizing and expanding an illegal group.” The trials were held in a “revolutionary court” (i.e., not in a criminal court) chaired by the notorious human rights violator Judge Moqiseh (قاضی مقیسه). Eight and a half years into their sentences, they were reduced to ten years. Shortly after that, Fariba Kamalabadi was granted a five-day leave from Tehran’s Evin Prison following the birth of her grandchild. There was an uproar in the government-controlled media when a one-time fellow prisoner, Faezeh Hashemi visited Kamalabadi at her home. Mrs. Kamalabadi was initially detained in Evin Prison in Tehran. On July 29, 2010, all the Yaran were transferred to Raja’i Shahr prison (Gohar Dasht prison), about 50 kilometers West of Tehran. On May 6, 2011, when the women’s block at Raja’i Shahr was closed, she and Mahvash Sabet were transferred to Gharchak Varamin prison, 40km south of Tehran, where conditions are particularly inhumane. Two weeks later she was again transferred to Evin Prison, where she remained until yesterday. Payam News, October 25, 2017. 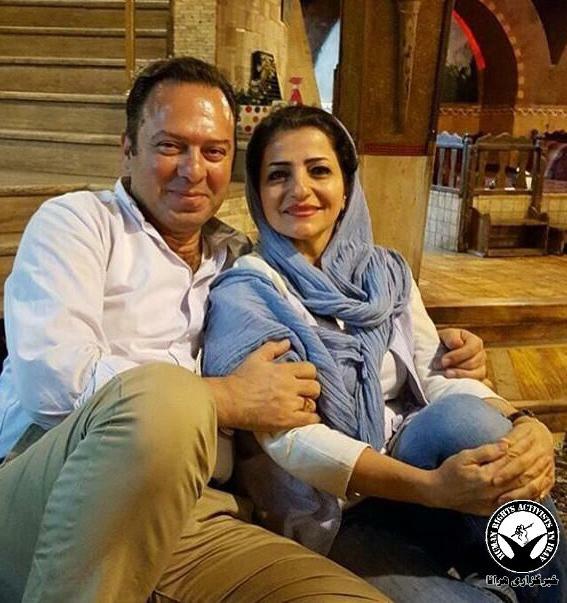 On October 19, Parisa Sadeqi ( پریسا صادقی) was arrested in her home in Tehran by 20 agents from the Ministry of Intelligence (at least 15 male and 5 female agents). There was a gathering at her home, and the agents took written statements from all the guests, but treated them politely. Officers from the Ministry of Intelligence also searched six Bahai homes in Tabriz, seizing books and communications devices, and issuing summons to two Bahais. Payam News, October 23, 2017. Afshin Heiratiyan (افشین حیرتیان), a Bahai children’s rights activist, was arrested on October 20. Security agents in plain clothes, without documentation, came to his house and searched it, seizing his personal effects and communication devices. It is believed he has been taken to Evin Prison in Tehran. The reason for his arrest is not known, but in recent weeks some 20 Bahais have been arrested in Kermanshah, Birjand and Rasht. Mr. Heiratiyan has previously served a 4-year term in Raja’i Shahr prison, near Tehran. Mr. Heiratiyan wrote and published various articles about child labour and World Children’s Rights Day. He was arrested on June 3, 2010, and charged with propaganda against the regime. He began his prison term in Evin prison in Tehran on August 20, 2011. While he was in Evin prison, he was pressured to provide a televised “confession.” He was released on June 16, 2015. Payam News (Facebook), October 3, 2017. Behnam Rouhanifard (بهنام روحانی فرد), a Bahai singer-songwriter, was released on bail from Evin Prison in Tehran today. He was arrested when agents stopped his car in the streets of Tehran on September 3 this year. He was taken to his home, which was searched, and agents filmed the search and all the details of the house. On July 4 this year he was stopped at Tehran Airport, on his return from a European concert tour, and questioned by security officials. Personal effects such as his passport, a mobile phone, laptop and books were seized, and he has been trying unsuccessfully to get these returned. In October 2009, Mr. Rouhanifard was sentenced to 9 months in prison for singing Bahai songs(links to Youtube). He served his sentence in Yazd Prison. Payam News (Facebook), September 29, 2017. 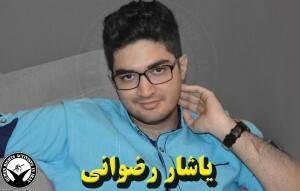 Kamran Shahidi (کامران شهیدی), a Bahai living in Tehran, was arrested by agents from the Ministry of Intelligence on September 25. His business, as a gold trader, was also shut down, and its entire holdings of gold were seized. They then went to the home of his sister and daughter and seized all the gold, along with books and pictures relating to the Bahai Faith. Four days later, the attempts of his family to find out where he is being detained have been fruitless.